Two cyclists edge ahead of cars stopped at the red light at the corner of Bachelors Walk on Friday morning. Anticipating a green light, they cycle through the pedestrian crossing as the last few walkers bustle south onto O’Connell Bridge, navigating the cyclists in their path. This is common behaviour by cyclists – they’re trying to get ahead of the cars before the light turns green, so they can make the turn more safely. But it can be a tricky manoeuvre, which can obstruct and annoy pedestrians. Some say there’s a better way: give both pedestrians and cyclists a head-start on vehicles at lights. In cities in the United States and the United Kingdom, this system of so-called “advanced signalling” has proven effective in making travel safer for cyclists and pedestrians. For pedestrians, what are known as Leading Pedestrian Intervals (LPIs) have been implemented in cities including New York, San Francisco and Pennsylvania. A report published last month by Transport Alternatives, a New York-based non-profit, notes that LPIs are now in place at 20 percent of the city’s signalised intersections. New York pedestrians crossing at these points are given a 7- to 10-second head start before the light turns green for cars travelling in the same direction. This avoids potential accidents when cars turn left or right across pedestrian crossings. As more American cities adopt Vision Zero traffic strategies – aimed at reducing fatalities and serious injuries to zero – head starts for pedestrians have proved successful. In 2010, two researchers for the Transportation Research Board – a division of the National Research Council in the US – investigated 10 signalised intersections in Pennsylvania and found a 58.7 percent reduction in pedestrian-vehicle collisions at points where LPIs are in place. “Given the low cost of this strategy only a modest reduction in crashes is needed to justify its use economically,” the report said. In 2010, York in England was the first city to implement a head-start traffic signal for cyclists. Its aim was to reduce the risk of motorist-cyclist collisions on a busy stretch of road where there were two right-turn lanes. “[Q]uite a few drivers were wrongly using the right-hand lane to carry straight on. This led to conflict with cyclists who were correctly using the left-hand lane to turn right,” according to the Department of Transport. Now cyclists at this stretch are given a five-second head start, and, as a result, “there has been a reduction in collisions involving cyclists”, according to the department. Part of the plan’s success may have been due to an all-pedestrian light signal before the cyclist head start, it suggested. As Dublin City Council’s traffic department busily navigate the daily flow of transport modes, some say it’s time they gave Dublin’s pedestrians and cyclists a head start, too. “I’d love to see this happen,” says Green Party Councillor Ciarán Cuffe, who heads up the council’s transport committee. In fact, in some parts of the city, the infrastructure is already in place for cyclists. At several busy stretches of road, there are small sets of traffic lights for bikes. However, these were installed to discourage cyclists from breaking red lights, says Cuffe. “We put them in for a reason that what was at odds with what I assumed was for the safety of cyclists,” he says. 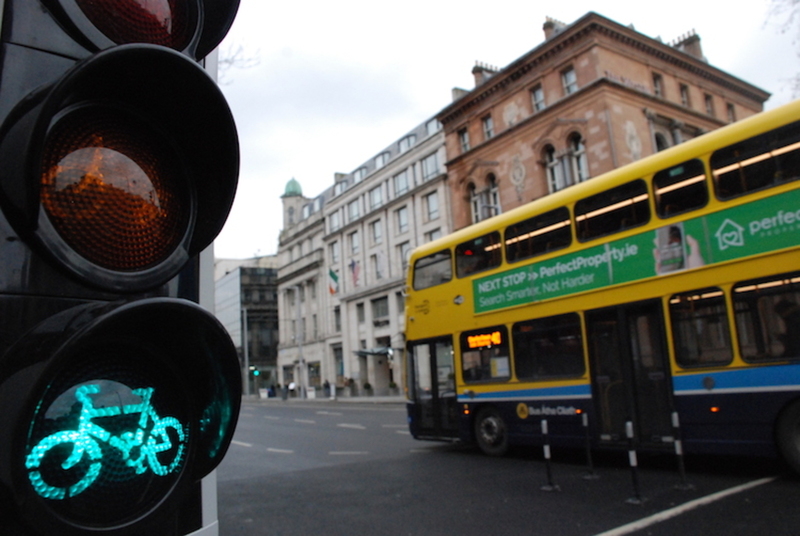 Cyclists breaking red lights is an issue, says Colm Ryder of the Dublin Cycling Campaign. But Ryder argues that a proactive measure like giving Dublin’s cyclists a head start makes more sense safety wise. Ryder says that an advance green light could help cyclists at right turns, in particular. “If you get even a couple of seconds ahead of traffic it makes a huge difference,” he says. But as it stands, the only advanced signalling for cyclists in Dublin is along the Grand Canal cycle route, said the Green Party’s Cuffe. On Monday morning, cyclists made their way up towards Portobello Bridge along the segregated cycle path. Here they are given a seven-second head start before cars get the green light. Other cities have seen reductions in pedestrian-vehicle collisions when walkers are given a head start. Yet some have called for great prioritisation of cyclists. Transport Alternatives notes in its January report that, although pedestrian fatalities continue to decline in New York City as Mayor Bill de Blasio pursues the Vision Zero strategy, cyclist fatalities rose by 39 percent in 2017. Since 2016, there have been calls for the city to give NYC’s cyclists the same head start as its pedestrians. 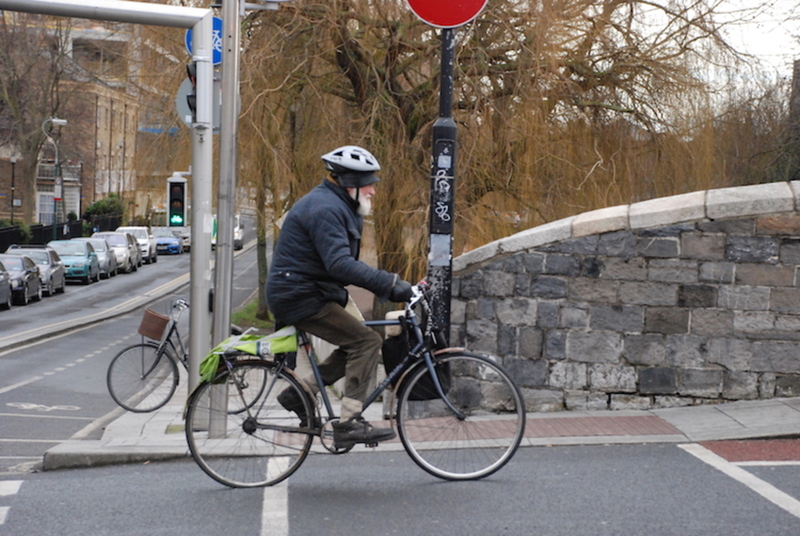 Any effort to roll-out advance signalling in Dublin should benefit both pedestrians and cyclists, says Cuffe. 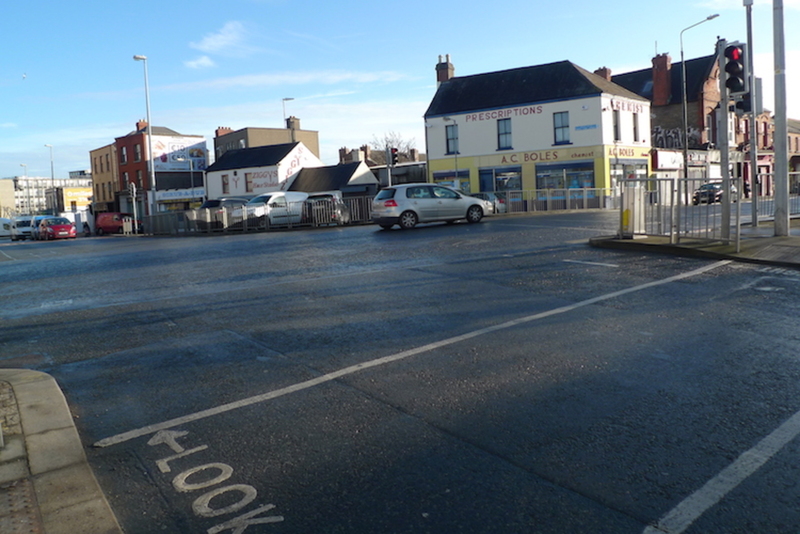 There is a knock-on effect, he says, when motorists ignore advance stop lines. This forces cyclists to edge out further to make themselves more visible. But that is frustrating for pedestrians, he says. “You’d be annoyed if you were a pedestrian and your path is blocked by bicycles,” says Cuffe. Cuffe, and Ryder of the Dublin Cycling Campaign, both say they have pushed the council’s traffic-management team to trial advanced signalling. As of yet, they’ve had no luck. Putting in place advanced signalling would be within the council’s remit, according to the National Transport Authority (NTA) and the Department of Transport, Tourism and Sport. Though the NTA included suggestions in its 2011 cycling manual for how to ensure cyclist safety on busy roads it did not include provisions for advance signalling. 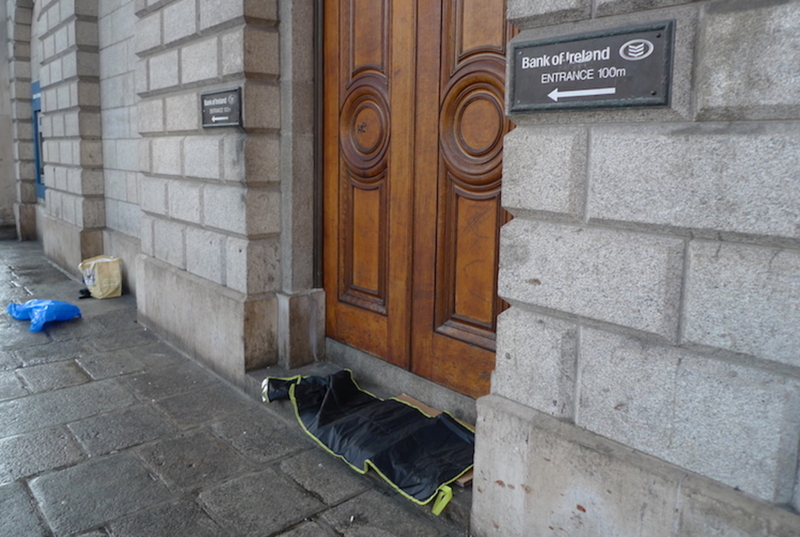 Besides, it is down to the local authority to implement any such measures, said NTA spokesperson Dermot O’Gara. 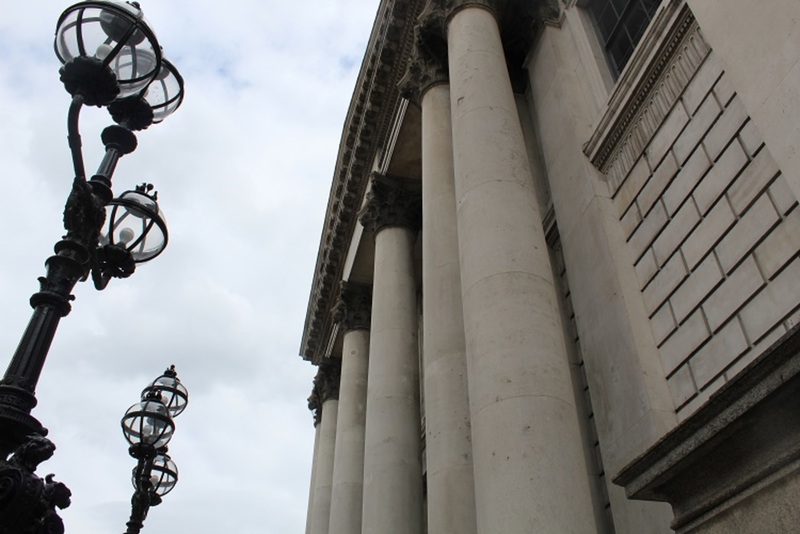 A department spokesperson said by email that the department supports advanced signalling, but that it is up to Dublin City Council to move things forward. A council spokesperson said the council was not considering advance signalling, for the moment. 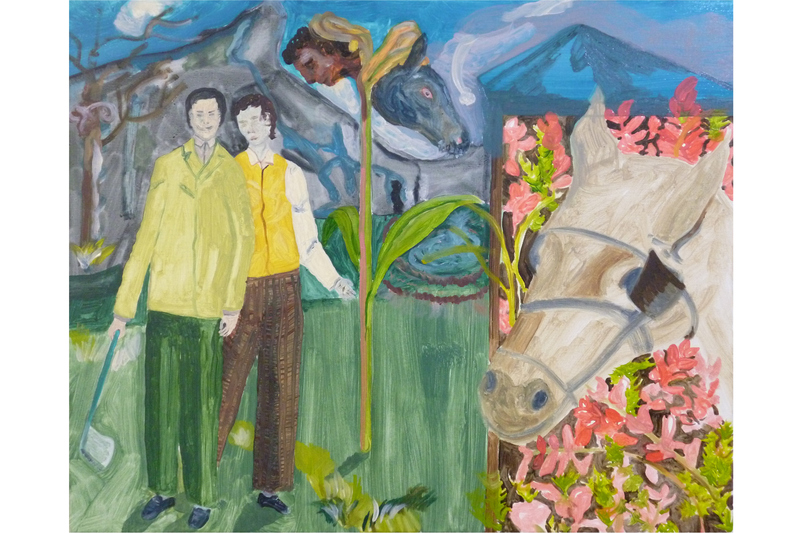 But, they said, “we’re considering the benefits for future projects”. The tiny bike traffic lights along the canal route are far too small and far away from the other side of the road, and the main traffic lights. And you have to keep looking up and down at either sets of lights as they often don’t match the pedestrian green light, which doesn’t make sense. IMHO It simply should be made clear to drivers that it is ok if bikes advance ahead when the road is clear. Car drivers really have no understanding how dangerous junctions are for cyclists- it is not the same as being in a car. But of course the lack of segregated lanes in Dublin means drivers seem to think they should act like cars. Dublin needs decent cycle lanes first. As for pedestrian crossings- isn’t it high time they they removed all those empty fake crossing buttons that clearly do not work? it just re enforces clearer than ever that Dublin is a ‘car only’ city, and everyone else is a fool.